This entry was posted on Tuesday, July 22nd, 2008 at 9:19 pm	and is filed under Blogging Event, Main Dishes. You can follow any responses to this entry through the RSS 2.0 feed. You can leave a response, or trackback from your own site. This looks fantastic! I like the rum idea too. I’m all for boozy marinades. You say mint and I think lamb. Although, you could probably use that mint in some Vietnamese summer rolls. This chicken looks amazing! I’ve never tried mint with chicken, sounds yummy! I love mixing mint with basil and thyme, and a bit of lemon zest, and marinating chicken breasts and then cooking them on the grill. I just let the mint grow where it wants to grow in the garden, and I love finding it hiding under other plants! Ohh, sounds like a great dish! I love mint a lot. I bet the chicken is full of flavor. Yum! you’re right – mint grows so freaking fast!!! it almost ate up my parents garden – it spreads like wildfire. this looks healthy and really nice! THIS sounds good to me. 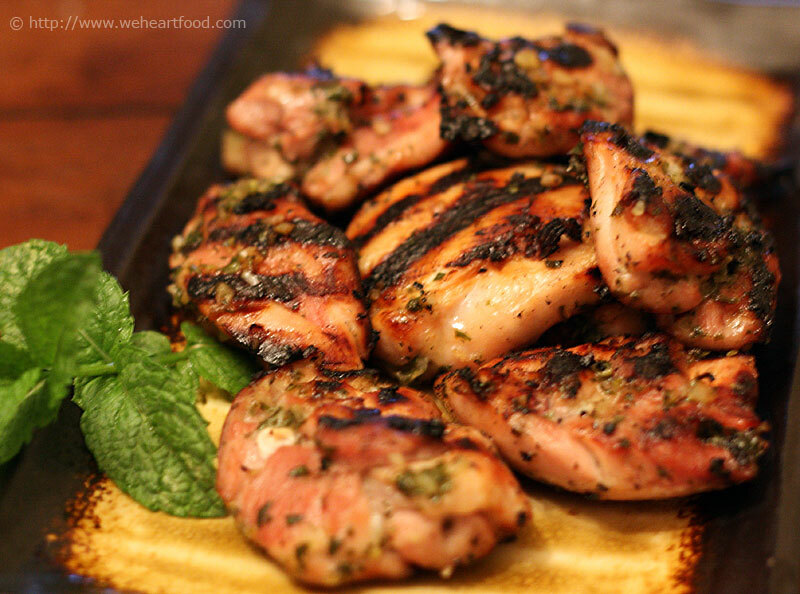 Mint and chicken and a BBQ = my type of meal. Thank you for sending this to the mingle. Thanks for sending this over to the Grill It event Chris!